The product line Citterio M, created in 2008 in collaboration with designer and architect Antonio Citterio, is intended to remind us of a modern urban living space with its sophisticated and elegant contours. 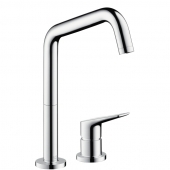 Straight-lined and restrained, the faucets also offer a balance to the hectic life in the city. All products have no decorations and were designed as the perfect type of building, which reflects modern urbanity, based on a simple high-rise building. 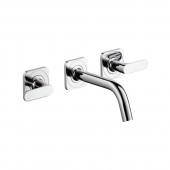 With its choice of handles - star handles or lever handles - the faucets can adapt to every bathroom and every style. 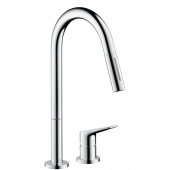 The spout is space-saving and takes up this aspect of urban life. 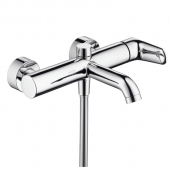 Citterio M offers single-lever and three-hole mixer for free-standing and wall-mounting for washbasins. 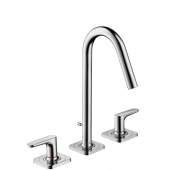 The single-lever mixer in the free-standing version has flexible sizes: 183 mm, 211 mm or 361 mm (measured with open lever) and can therefore adapted to personal needs. The three-hole version for standing and wall-mounting installation as well as the single-lever mixer stand on a square base plate (all elements individually). 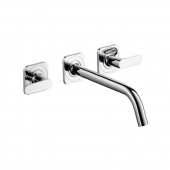 Here you can either use star handles or lever handles. 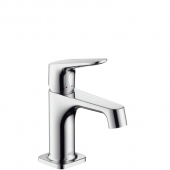 The star handles are easy to operate and represent small details that differ from other faucets without being obtrusive. In addition, the red and blue markings on all handle variants indicate warm and cold water, which contributes to user-friendliness. 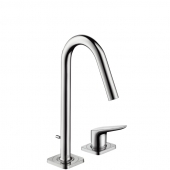 The space-saving rounded spout is simply bent forwards in a straight line. 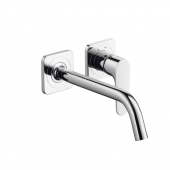 The single-lever washbasin mixer for wall mounting is made in a two-hole version but hangs on a continuous rosette. The outlet has 167 mm or 227 mm. 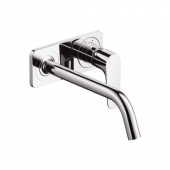 Citterio M offers many possibilities for shower planning. 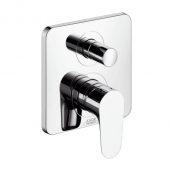 Citterio M offers the suitable solution for thermostat faucets or shower mixers- whether as a surface-mounted or in-wall-mounted version, on a rectangular base plate or as an elongated faucet, for one or more consumers. 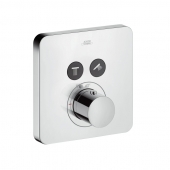 A complete solution is the Showerpipe with thermostat, overhead shower, hand shower, shower rail, hose and holder. The three spray types of the head shower - normal jet, massage jet and soft jet - ensure pampering moments. 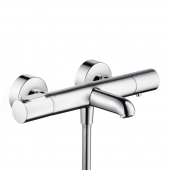 Sophisticated, slender and clear are the words Axor uses to describe its Citterio M shower faucets. You achieve a timeless urban style. 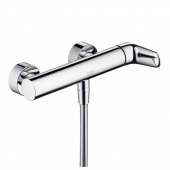 The head shower is minimalist with asymmetrical forms, as the holder is positioned on the side and not set in the middle. 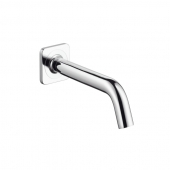 Citterio M bath faucets include single-lever mixers for surface mounting with integrated inlet or for flush mounting without inlet - this is installed individually. 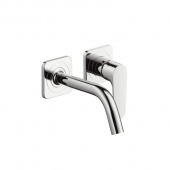 The four-hole bath rim mixer (also for the tile edge) with inlet and shower is particularly elegant. 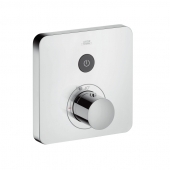 It is equipped with star handles or lever handles and all elements are mounted on a single rosette. The restrained single-lever bidet mixer first becomes narrower towards the spout, but then wider towards the jet former. At the front, it is round and forms a normal jet. 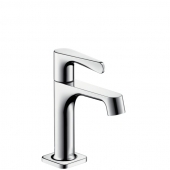 The bidet faucet stands on a square base plate with rounded corners. 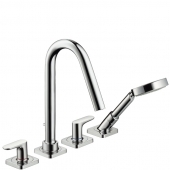 Citterio M offers the two-hole kitchen mixers in two stand variants: with completely curved spout or with a double-bent, also round spout. 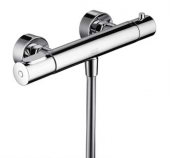 The first version has an extendable spray and a swivel range of 110° to 150°. It can be switched between normal and spray jet. The second variant can be swiveled in three stages: 110°, 150° and 360° and has only one standard jet. 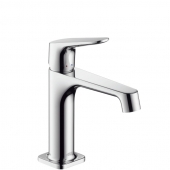 In all variants, the spout and handle are separate, so they can be flexibly removed. 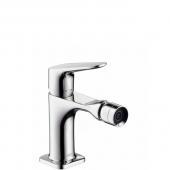 The faucets of the Citterio M can be combined very well with the accessories of the Citterio or Uno product lines. 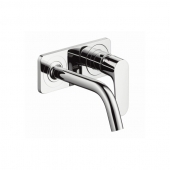 Here you will find glass shelves, paper roll holders and towel holders in a discrete design. 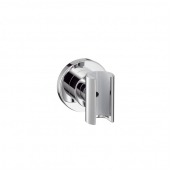 The simple design of Raindance showerheads from Hansgrohe are a good addition to the Citterio M line.